If you're looking for a little extra exposure for your quiz night, why not make a video of your quiz night and stick it on youtube? Light - the video isn't overburdened by explanations and compilcations or the need to showcase every question. Short - the video is only 1'46" duration which just about fits the average attention span of a web viewer. 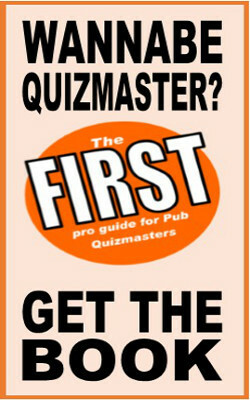 Have you made a video for you tube to promote your quiz night? Leave a link in the comments below and tell us how it worked for you.